In our Prenatal Yoga we make space for baby in our body, mind, and heart. This we have moments of loving connection to this new being growing inside of us; we start to get used to our new identity and all the changes occurring; and we limit aches and pains that come from lack of space. In addition, we strengthen our muscles and align them so we can carry our baby more easily, we learn to breathe through intense sensation, and can feel calm and clear so we can enjoy our journey! In Mom + Baby, we heal our bodies, reconnect our core with each breath, and learn to make conscious choices about when to focus on baby, and when to focus on ourselves. It’s not an easy life transition, and without guidance and support, it can be a really hard time. We have you covered. Moving through this transition consciously helps us better handle the changes that occur in our relationships, our work, and even ourselves. If we’re learning to take better care of ourselves along the way the challenges become an opportunity to step into our highest “Ma” self. 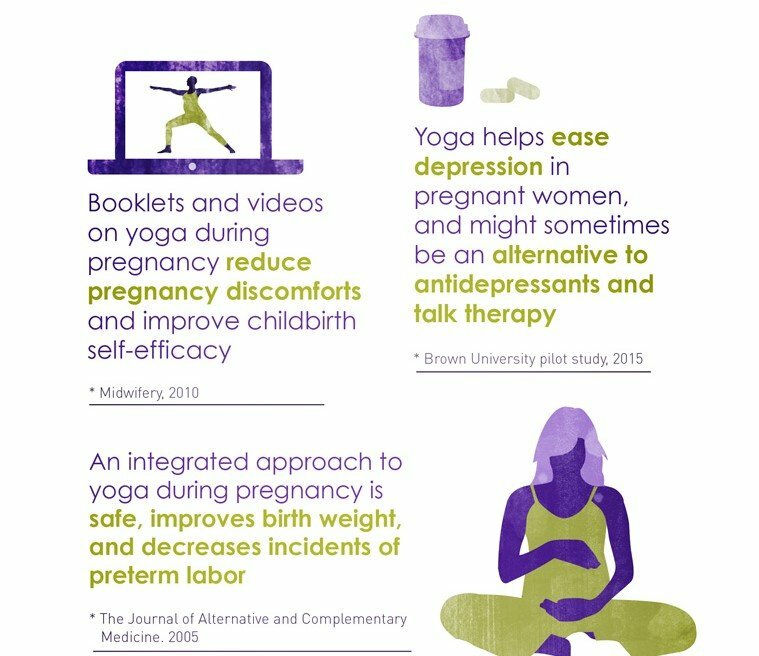 What are the benefits of prenatal yoga in general? Prenatal yoga is one of the few exercises that doctors recommend to start when pregnant (along with walking, which we highly recommend). What are the Benefits of Ma Yoga for Moms? Our unique Mom Yoga means you have the option to be with baby or not. It means you’re focused on healing from physical trauma, no matter what kind of birth you had. Plus you’re adjusting to your time no longer being your own. help embodying your “Ma” Self – the highest, most powerful, wise and loving version of you! Is Ma Yoga® “Gentle Yoga”? 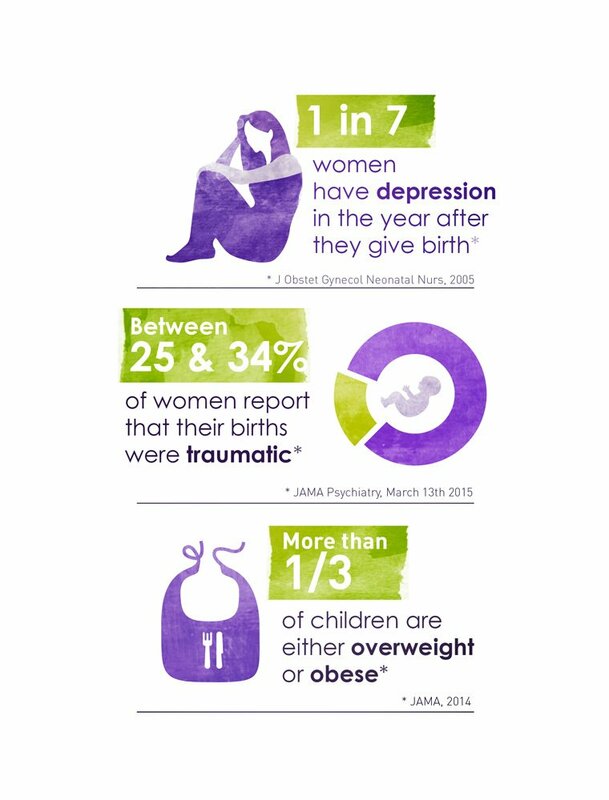 While it’s most important to stay safe and keep baby safe, pregnancy is a time when we need our strength – maybe now more than ever. We carry a bowling ball in our belly for months and then we carry a bigger bowling ball in our arms – plus bags and a car seat. Ma Yoga is alignment-based yoga. That means instead of trying to “get” a pose, we focus on what we’re doing inside the pose. Are we moving toward the natural curves of the spine? Are we stabilizing our joints before we stretch? Are we opening our heart center so we can keep breathing fully? When we do these actions – called the Five Sacred Steps – we move toward our greatest possibilities on all levels: physical, mental, emotional and spiritual. And we cultivate both strength and power. So we might describe our prenatal yoga as “nurturing”, more than gentle. 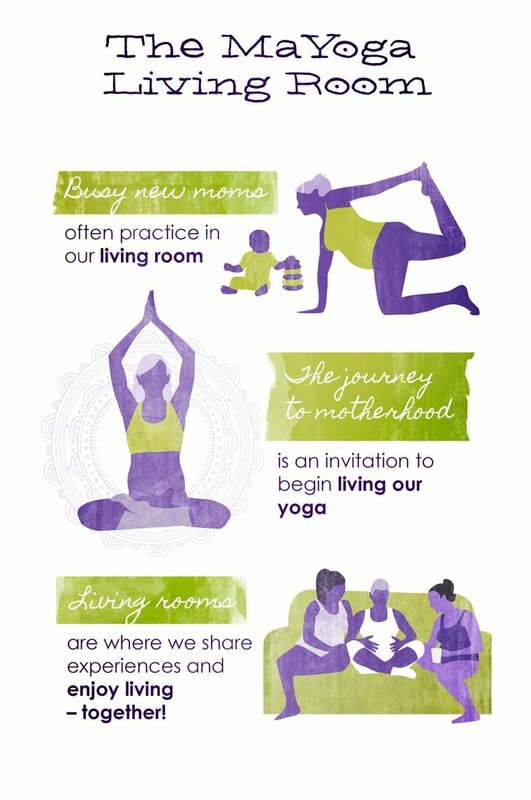 Once you’re a mom, Ma Yoga® classes help you reconnect to our core. Many of us have learned to do belly breathing, and forgotten how to engage our deep abdominals along the way. Especially for moms whose abdominal wall split during pregnancy, these concepts are crucial for getting a toned belly again. For this reason, the sooner in your pregnancy you start practicing prenatal yoga, the easier it will be to do later when everything gets harder. Many women start Ma Yoga when they’re pregnant. They learn the alignment principles and begin to incorporate them effortlessly throughout their practice. Once they’re a new mom, they come back to classes for much needed recovery and healing, using these same principles. Ma Yoga is so uplifting, and feels so good, that many women continue with us because after all, the “Ma” in Ma Yoga is about YOU learning to nurture YOU. We hope you will join us! But what if I’ve never done yoga, I’m not in shape, and I’m not flexible? Ma Yoga Living is an evolutionary community of prenatal and mom yoga teachers, birth experts and healthy lifestyle professionals. We don’t see ourselves as “done”, or “there”, or “perfect” – and we don’t expect you to be. We are all working to make ourselves, and our lives, more reflective of what we sense as our potential. And we find that having a container to do it in allows it to actually happen. Like a caterpillar needs a crysalis to become a butterfly, being held and embraced as we grow allows us to put the energy of the whole group behind our intentions. We are a community that stands for each other’s greatness. We honor you no matter your body size, color, shape, experience, sexuality or place in the journey. We honor you for just showing up. When you feel yourself being honored, and you begin to truly honor yourself, you will lift up those you love, inspire those you come in contact with, and together we will shift our whole culture toward connection. We wish you many blessings of self-discovery and bliss on your journey.